Australian Scott Hend hit the jackpot for the third time this season as he cruised to a commanding three-stroke victory at the Venetian Macau Open on Sunday. With an overnight four-shot lead, the big-hitting Hend comfortably held off the chasing pack at the Macau Golf and Country Club, closing with a four-under-par 67 to for a 16-under-par 268 total to add to his triumphs in Chiangmai and Taipei this year. India’s Anirban Lahiri matched the course record with a blistering nine-under-par 62 for second place while four-time Major champion Ernie Els of South Africa shared third with Elmer Salvador of the Philippines after a 67 and 66 respectively in the US$800,000 Asian Tour tournament. 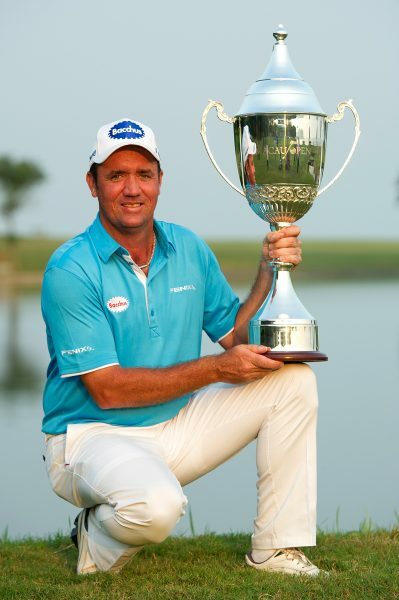 Hend, who picked up the champion’s cheque of US$144,000, was delighted to extend his magical season after opening his week with a dismal 74 and then going head-to-head with Els over three rounds. “It’s important to win again this week, for the third time, it feels good. Thursday was a difficult day, mentally and physically. Then on Friday and Saturday, I started holing putts which I haven’t done the whole year even when I won a couple of weeks ago. I’ve holed my fair share this week,” said Hend, who averaged 26.5 putts for the tournament. “Ernie is one of the best players in the world. I had my own goals and targets and I achieved my goal which was to stay patient, patient, patient. In the first four holes, I didn’t make any birdie. Ernie started to put some heat on me and all of the sudden, I hit a great shot on the fifth for birdie there. It was all about being patient. “Three wins in a year is definitely the best golf of my career. Who knows what’s going to happen in the next few months. There are some big tournaments coming up and it’ll be nice to perform well in those and be competitive. The year hasn’t finished yet,” added the Aussie, whose victory was his fifth on the Asian Tour. Els, who turned 44 on Thursday, applied the pressure early on with birdies on two, three and six but a bogey on nine halted his momentum. “It was very frustrating. I started off nicely again and then made a soft bogey on nine. I couldn’t afford any mistakes. I needed to keep the pedal on the metal but I made that mistake and I didn’t play the back nine all that well either. Tough weekend but I think Scott was very strong,” said Els, who was making his debut at the Venetian Macau Open. The 26-year-old Lahiri charged up the leaderboard to finish second, thanks to one eagle and eight birdies as he tied countryman Amandeep Johl’s course mark set in 2004. The Indian star, who has three wins on the Asian Tour, got to within two shots of Hend during the final round but was still delighted with his strong finish. “I got off to a great start, holed a 30-footer on the first hole. I played really good right from the start. Yesterday was a similar story but I ran into some trouble on the back nine. I’m glad I kept my cool and played solid in the end,” said Lahiri. Salvador was delighted to tie Els for third place for his best outing of the year, with a cheque of US$45,200 securing his Tour card for 2014 after starting the week in 73rd place on the Order of Merit. 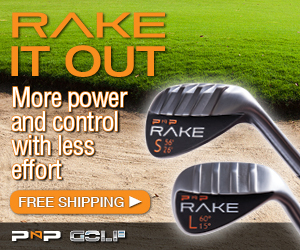 “I saved many pars and had a good putting day. My driving was a little wild but my irons helped me save a lot of pars. I’m happy that I’ve saved my card for next year. It feels good to be tied with Ernie. He’s a superstar,” said the Filipino. Jointly organised by Macau Sport Development Board of Macau SAR Government (MSDB) and Golf Association of Macau, the tournament is sanctioned by the latter and the Asian Tour, and promoted by IMG. Following a successful foray into the world of golf last year, The Venetian® Macao-Resort-Hotel has returned as title sponsor of the event for a second successive year. Sponsors joining The Venetian Macao in support of the tournament include Rolex, Srixon, Air Macau, Blue Girl and Bonaqua, as well as first time sponsors Lamborghini, Maui Jim, Subway, Hytera, Twinwoods Wine and Hong Kong Descente, which carries both the Le Coq Sportif Golf Collection and Munsingwear. 268 – Scott HEND (AUS) 74-64-63-67. 271 – Anirban LAHIRI (IND) 73-68-68-62. 272 – Elmer SALVADOR (PHI) 70-66-70-66, Ernie ELS (RSA) 71-65-69-67. 275 – Antonio LASCUNA (PHI) 71-68-71-65, Daisuke KATAOKA (JPN) 71-66-69-69. 276 – Adam GROOM (AUS) 70-69-71-66, SIDDIKUR (BAN) 69-66-70-71. 277 – Stephen LEWTON (ENG) 72-67-72-66, BAEK Seuk-hyun (KOR) 71-65-70-71. 278 – LIANG Wen-chong (CHN) 71-72-66-69, Rahil GANGJEE (IND) 73-67-66-72. 279 – Arjun ATWAL (IND) 72-69-68-70, HUNG Chien-yao (TPE) 70-71-68-70, Kalle SAMOOJA (FIN) 68-71-69-71. 280 – Thongchai JAIDEE (THA) 73-67-71-69.